Fans of the Grateful Dead, are you ready for Dead & Company?? The surviving members of the Grateful Dead and John Mayer are on tour once again in 2019, keeping the band’s legacy alive for fans to continue to enjoy!! The new tour begins with a bang at California’s Shoreline Amphitheatre on Friday 31st May 2019 – don’t miss it! Book your tickets now to be sure of your place!! Dead and Company consists of original Grateful Dead members Bob Weir, Bill Kreutzmann, and Mickey Hart, in addition to John Mayer, Oteil Burbridge and Jeff Chimenti. The offshoot of the phenomenally successful rock band was formed when John Mayer developed a keen interest in the band’s material and a friendship with Bob Weir when the former invited the latter to join him in a studio performance. As the remaining Grateful Dead members prepared for their 50th anniversary tour, John Mayer learned their entire back catalogue, Oteil Burbridge and Jeff Chimenti were recruited, and Dead & Company were formed. The 2019 tour will see them performing through 19 cities across the US, kicking off at the Shoreline Amphitheatre at Mountain View, and continuing on through July, hitting many of America’s most iconic venues. Expect to hear all the biggest hits from the Grateful Dead’s long and legendary career performed like you’ve never heard them before!! 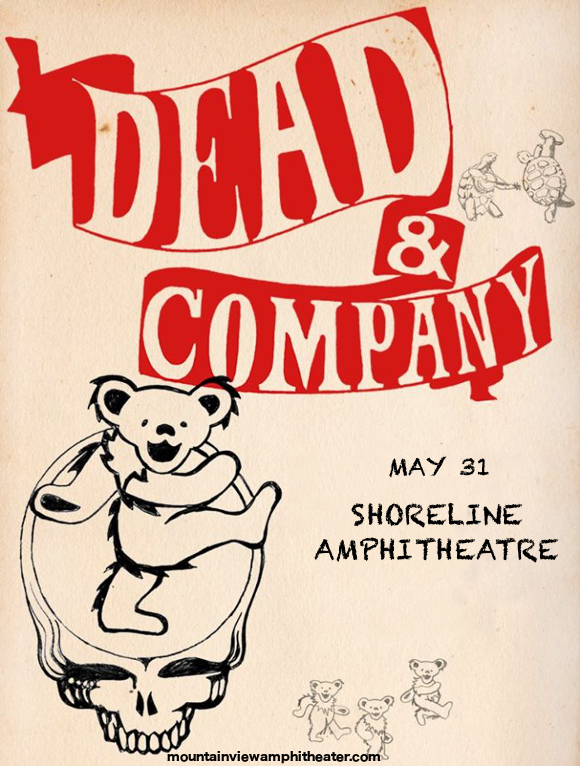 Grateful Dead and John Mayer fans alike can’t afford to miss this – what are you waiting for?? Grab those tickets NOW while they last! !